You are here: Home / News & Articles / How Much Does a Large Conservatory Cost? What is large conservatory and how much will it cost? Extend your living space, bring nature and sunshine into your home with large conservatories. The options for conservatory extension are unlimited. Choose from a range of sizes and designs. Think out of the box and make your own unique conservatory. So, what is a large conservatory? A large conservatory would probably be one that occupies more half the space of your house garden. For example, if you have a small garden then the actual dimensions of your conservatory may not be huge, but proportionally it is large compared to the space available. If it has a roof that is higher than the tallest part of your home or is more than 4 meters tall and / or requires planning permission from the authorities it can easily be considered as large conservatory. But if you want to put a number to it, then if your proposed conservatory is going to be around (or over) 4m x 4m, then you are in the territory of a large conservatory. If your conservatory has a floor area of less than 30 square meters it requires no such permission. So if you are planning for a large conservatory do visit your local planning authority website and check out the rules and regulations for your area. What are the best designs for large conservatories? When it comes to large conservatories there are different styles to choose from. But before you make grandiose plans, remember not to overwhelm your garden or outside spaces. By going for too large a conservatory that is unwieldy as a living space, you can spoil the look of your home and garden. A conservatory design should be large enough to enjoy it as the particular space you want it to be. For instance, if you want it to be a dining space, consider the dining room dimensions for your conservatory. If it is to be your gym or living room, choose size accordingly. There are different styles to choose from, like Victorian, Lean-to, Edwardian, Gable or P-shape conservatories. While each has its own charm and advantages, some like the lean-to are cheaper because of their less complex design. Others, with more complex detailing, are priced higher. P-shape: combination of Victorian with the lean-to. T-shape: combination of Gable, Pavilion, Edwardian or Georgian with the Lean-to. L-shape: A lean-to conservatory that wraps around an external corner. 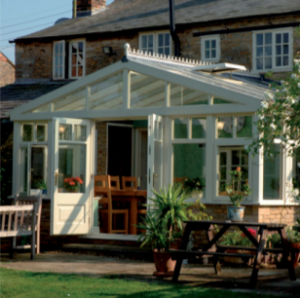 B-shape: 2 Victorian conservatories connected in the middle by a lean-to. Of course, you then have the bespoke designs that suit large rooms such as the Loggia conservatory – this is almost a hybrid of an orangery and conservatory. How much do large conservatories cost? For the largest conservatories, you are going to be in the price bracket that bespoke orangeries occupy, and this will require a healthy budget (plus contingency funds) to have a high quality, well built room. 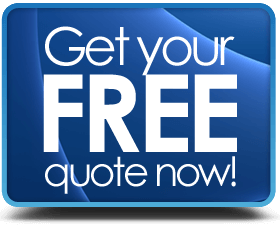 That is not to say that all large conservatories are prohibitively expensive, but just that you are not going to find many large conservatories under £10,000. What are the pros & cons of a large conservatories? A large conservatory allows you the freedom to enjoy your garden all year long without having to be worried about the climate outside. It is one of the best ways to beat the unpredictable UK weather. Also, you get to extend your living spaces without spending too much money. There are ready-to use buy and install conservatories, but these come in smaller sizes and you have to either fit them to your home yourself or get an independent contractor to come and do the work for you. This may save you money, it may not. Instead a conservatory extension that is purpose designed to fit your home and your style is much more elegant, and it can also give you a better sense of ownership over its design, style and usage. It will be uniquely you and you could completely tailor the conservatory extension to suit your budget. Clearly, if you have the room and the budget, then a larger conservatory will be a bonus, not only in terms of space, but also in terms of added value. However, you will need to plan carefully before embarking on the project to make sure you know the potential pitfalls along the way. Our suggestion is that you collect several quotations and design options from different suppliers, so you can have a wider appreciation of costs and ideas for how the room can look when finished.